Hi friends! One thing I've learned with vintage shopping is that almost nothing fits me off the rack. 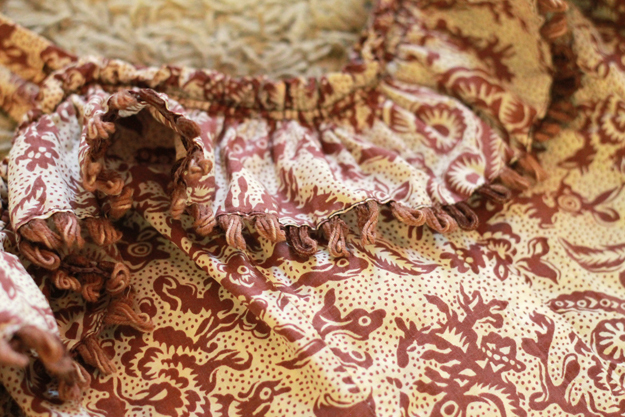 My Re-Vamping Vintage series only demonstrates a fraction of the alterations I do to all my vintage clothes. 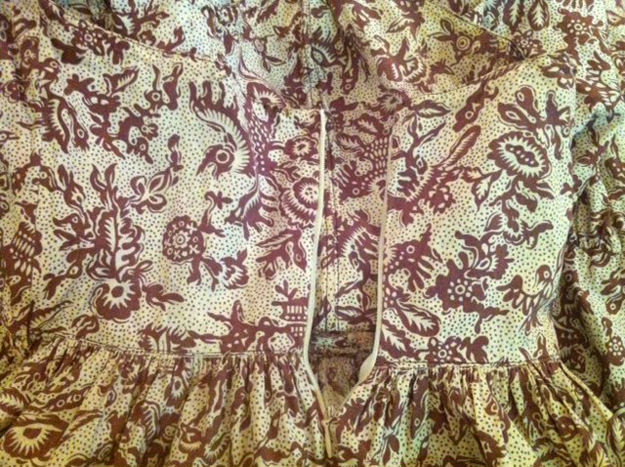 I recently snapped some photos of this fun brown dress - I spent about five hours working on it including making new straps using fabric from the inside of the hem, replacing the ratty brown trim with pom poms, letting out seams, and replacing the zipper. 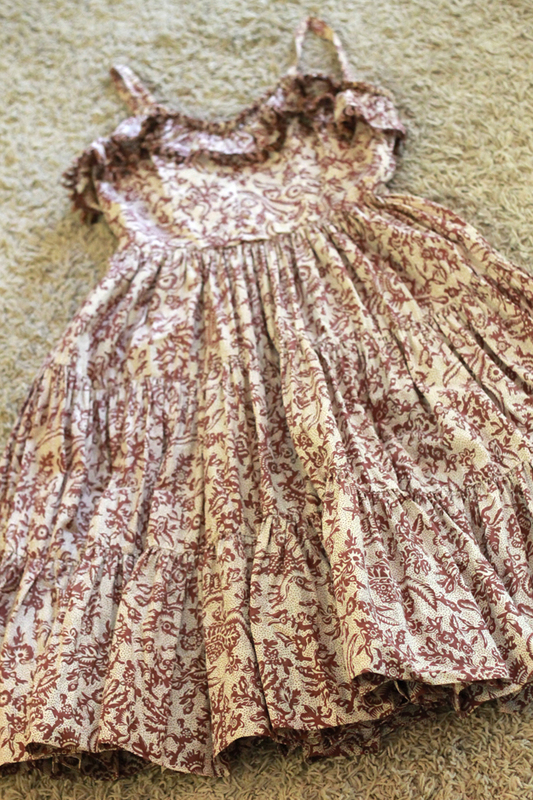 Here is the dress in its original state, sans belt. 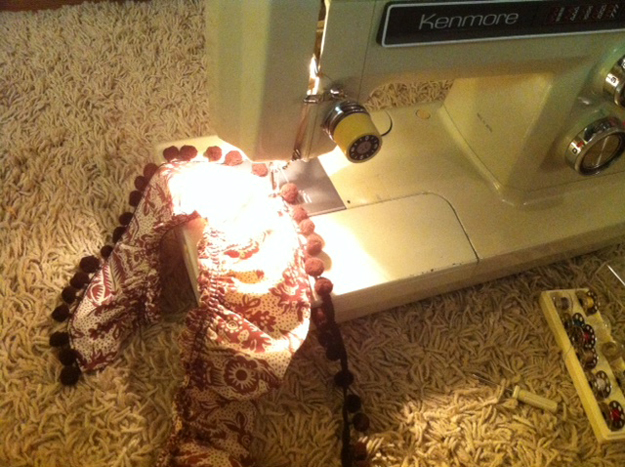 Here is a shot of me sewing the new brown pom pom trim (which I purchased from Etsy) onto the ruffle. 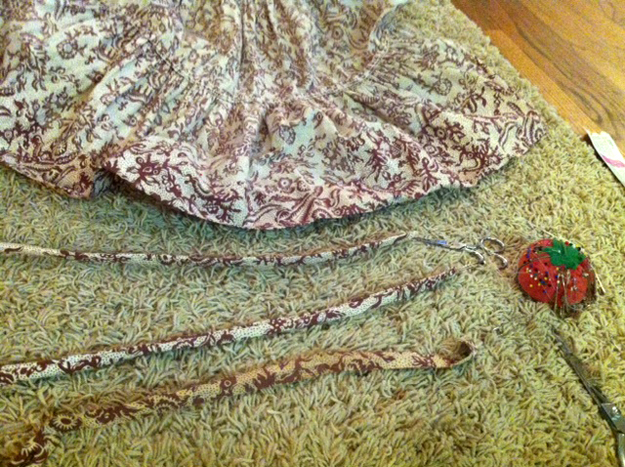 Nevermind that I'm sewing on the floor; my place is still a mess and I don't have a table set up for sewing right now. This shot shows the original straps at the bottom - yellowed and wimpy. The hem of the dress contained a lot of extra material so I used that fabric to make new straps with interfacing for better support (laying above the wimpy strap). Here you can see where I installed a new invisible zipper. The old one was broken and wouldn't even zip. After spending all that time on this dress, I was very pleased with the result. 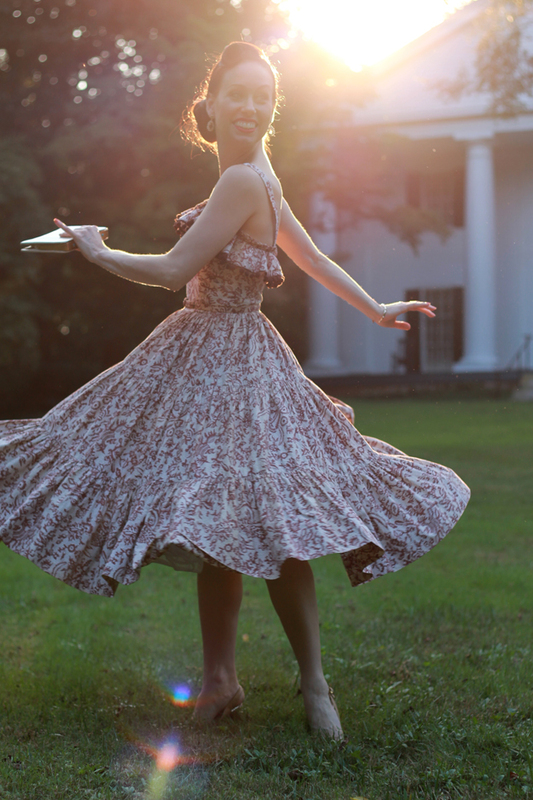 I love the full skirt and had the vision that this dress would be awesome with a little TLC. Thanks so much for stopping by today! Gorgeous! I'm always so impressed with your skills!